Welcome to the March 2015 Newsletter! This March, we are pleased to feature a large panel of books. Among us, two concerning New York City and more particularly the Lower East Side. Both in Black & white photographs depict the shadow zones of this neighborood in the years 80. A specific mention for Malformed and its such original subject and the quality of the photographs realized. Kodak City focuses on Rochester, NY, which is going irrelevant and adrift after the bankrupty of its main industry, Kodak. Do not forget to have a look on Cubicle Life by Chun Wai: an other way to see what Hong Kong is for its inhabitants. 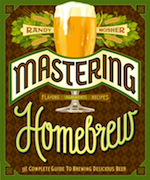 Also involved in the craft beer industry in Paris, we warmly thank Chronicles Books for having sent us Mastering Homebrew by Randy Mosher which is THE book to read before commencing a brew. Our back list item is the brand new pocket edition of Photographers A-Z. Once again, thank you for reading. Enjoy our selection! As usual, if you order via Amazon, please use these links: : You will still be supporting urban-resources (we get credit) if the books are ordered through Amazon via the links featured. In fact, if you stay on Amazon and do more shopping, we get credit for that too! Photographs of neighboroods in urban renewal around Paris by Adel Tincelin. Photographs by Chun Wai of people who crammed into cubicle apartments in Hong Kong. A decade of photographs in the Lower East Side by Ken Schles. A collection of images shot throughout South Africa by Pieter Hugo. Photographs by Catherine Leutenegger of Rochester, NY, today. The ultimate guide to the craft for beginners and advanced brewers. Brand new pocket edition of this comprehensive encyclopedia. Photographs by Q. Sakamaki during summer 1988 violences. Copyright © urban-resources.net - March 2015 - All rights reserved.